Grooms getting married by the water will look best in boutonnieres inspired by the sea. 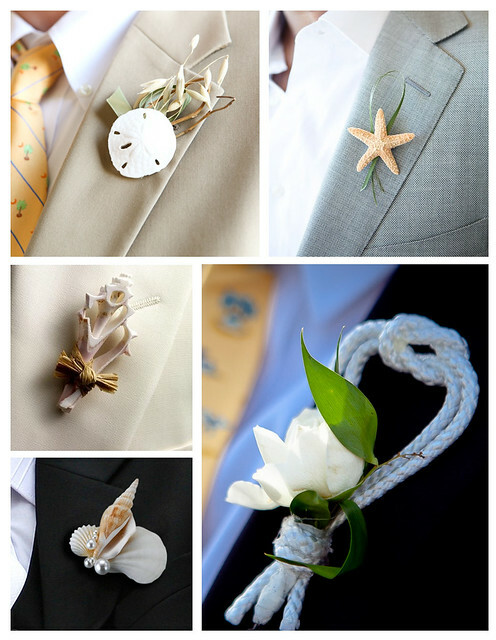 Choose shells, starfish, sand dollars, twine or rope when it comes to styling his boutonniere. Love the look? Opt for some of the same elements in your own bouquet!